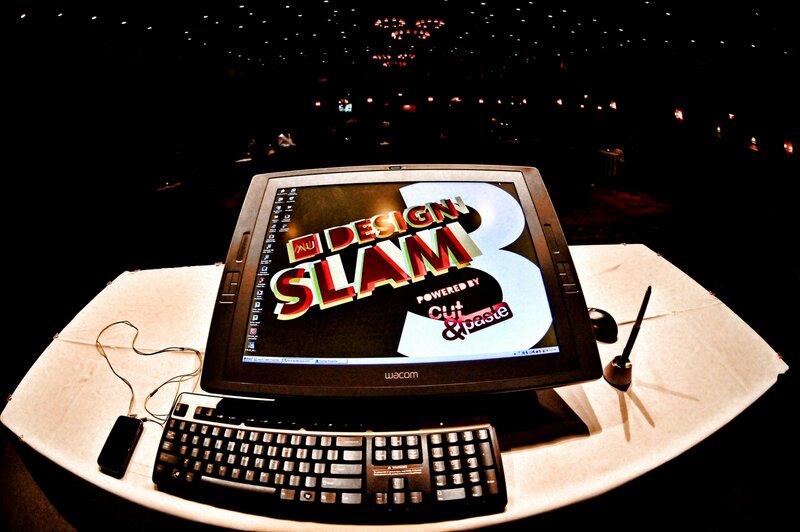 e2k produced the Cut&Paste “Design Slam” at Autodesk University, December 3rd-4th. This event was the headline entertainment element within Autodesk’s premier educational and training convention. Featuring contestants from the disciplines of Architecture and Industrial design, it was the first 3D digital art contest ever produced. Over 5,000 people watched the final two 20 minute rounds playing live on multiple screens thru out the Las Vegas convention center. The crowd watched intensely as shapes emerged and sounds of the DJ pumped continuous energy. Cut&Paste was produced by Trisha Ricci and assisted by Mickey Fimbres and Mike Brady. e2k will also produce the North American events for the world tour of Cut&Paste, which begins in February 2009. With competitions in the US, Europe, Asia and Australia, action will culminate in the World Championship digital design competition in New York in June.